Since Malcolm Mclean invented the first intermodal container in 1956, the shipping industry has thrived from the speed and utility ISO shipping containers provide. Today, there are over 17 million circulating worldwide. So, smart businesses are looking at ways to repurpose containers for so much more. Here are some of the most creative ways our clients are using them for business. Chipotle envisions a world of more sustainable, wholesome, and delicious food. To educate and inform their customers, Chipotle commissioned a Factory vs. Farm experience. Starting with two customized shipping containers, they incorporated light, sound, props, projections, and other materials to recreate dismal factory conditions. The immersion experience allows individuals to walk through and understand harsh environments animals face every day. 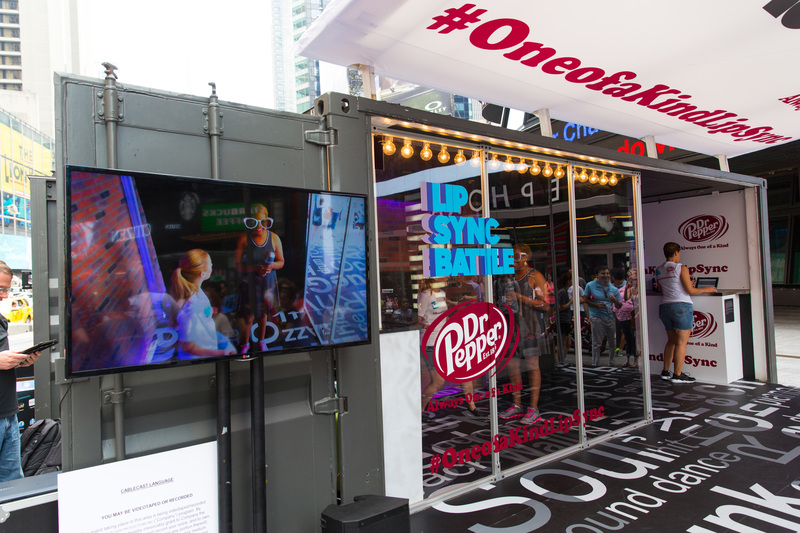 Spike TV dropped a Lip Sync Battle stage in Times Square and later, the Rockefeller Plaza for the Today Show. Participants would first choose their song, then move into a recording booth to initiate a lip sync battle. An LED screen would display all the lyrics while letting performers see themselves in action. To top it off, the live performances were featured on a jumbotron in Times Square. 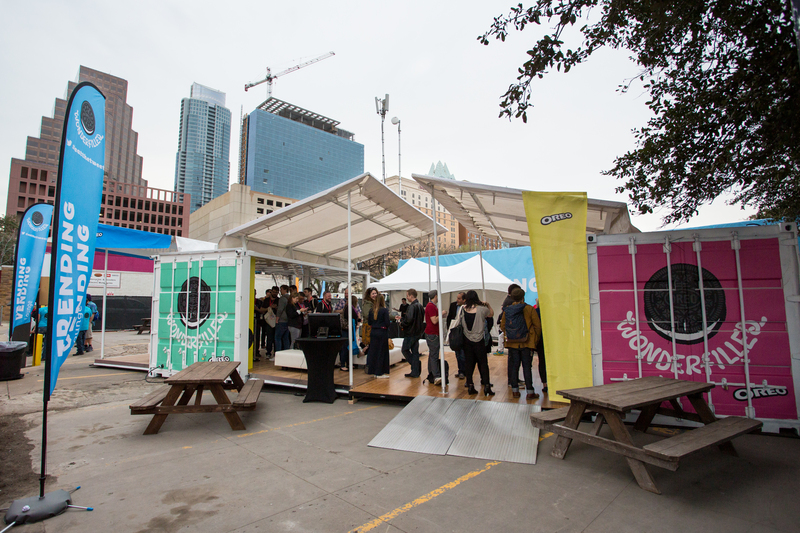 Oreo combined two 20-foot containers to create a branded lounge during SXSW film festival. 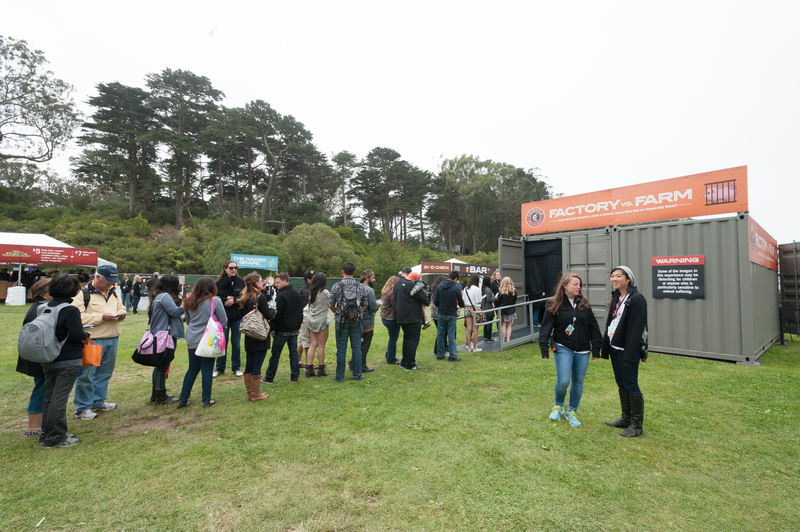 The containers included all the necessities such as charging stations, a DJ, and free wi-fi. But coolest of all? A 3D printing cookie machine that created custom Oreos based on top social media trends. 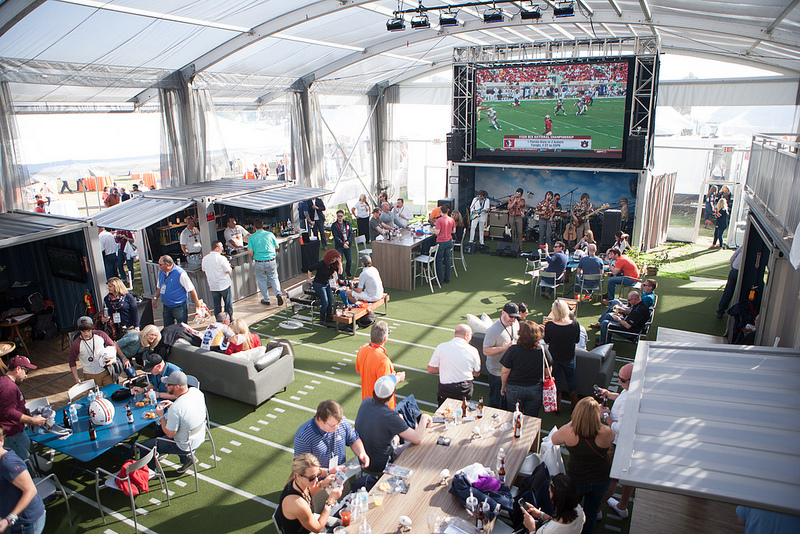 IMG created a one-of-a-kind tailgate experience with a multi-level fortress standing at 30 feet. It featured 4 bars, a main stage, an upper level viewing deck, and a 20-foot jumbotron screen. The upscale, 4,500 square foot structure is built to serve food, have games, and offer live music. Additionally, the climate controlled space is also hurricane, snow load, and earthquake tested. 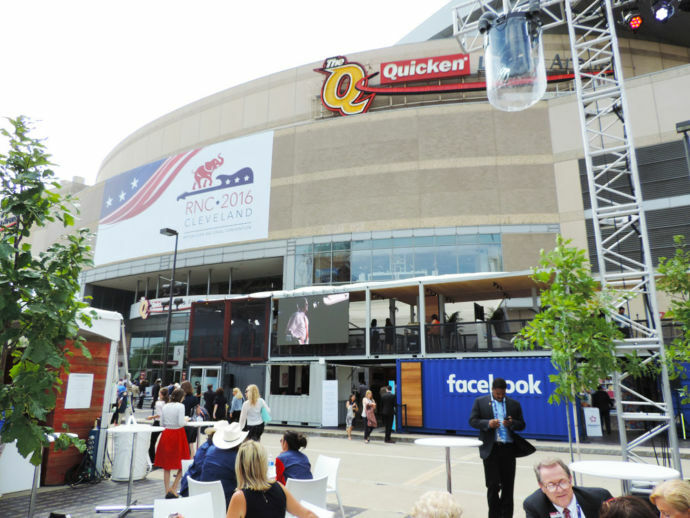 Facebook used a 2-story, 13-container structure to create a central hub for media and RNC attendees at the GOP convention. The massive building housed Facebook Live’s broadcasting studio and greenroom, Instagram’s Minioval photo opportunity, Oculus Rift’s Virtual reality experience, VIP seating, concessions, and more. There’s more than one way to ‘skin’ a shipping container. Utilizing shipping containers for your event, hospitality program, food service, or retail venture isn’t just about sustainability (although that’s a major plus!). It’s about creating an environment that excites, delights, and inspires your customers to connect with your business. How would you use these over-sized Legos to bring your brand to life?